Wanderlust people are always looking for new place to unleash. There are so many places in the world that have so many stories to tell. Only traveling those places let us know about the untold stories they have storing in them for decades. It’s summer vacation time and many are looking forward to a trip. Madurai can be your trip destination this time. It is the 3rd largest city in Tamil Nadu and is also the city with oldest inhabitant in it in the world. Madurai is a very familiar name and is introduced many times by Megasthenese and Kautilya. Both of them are ancient Historians. This city has been ruled by both the Chola and Pandya dynasties both of which holds great significance in History. This city is the house for a number of splendid and important temples all around. The geographic view of Madurai city is it lies in fertile plains near Vaigai River that divides the city into two parts. The land is mainly used for the agricultural purpose and paddy crops are the main crop cultivated here and are the major supplier of rice in India. Tourists from across many places come to visit Madurai to manifest the various temples of this prehistoric city. One of the important names of this place is the “Meenakshi Ammam Temple”, which has been introduced in almost all the pages and texts of History and is contemplated to be the old pilgrim spot for the Tamil Nadu tribes. It is also the greatest temple in India. The giant complex Temple consists of 27 variant temples and stands tall as a crown of the city with a height of 51.9 meters. Tourists also get to see many cultural festivals that are celebrated here. Many temples and monuments are scattered around the city of Madurai. They say that Madurai is the soul Of Tamil Nadu, and is budded and rooted in Tamil Nadu. Gandhi Museum-The Gandhi Museum in Madurai was organized and built in 1921 by Gandhi Smarak Nidhi. Later in 1955, the Tamil Nadu Government gifted the Tamukkam Palace with the land of 13 acres to the ‘’Gandhi Smarak Nidhi” for the purpose of building Gandhi Museum in memory of Gandhi. Tourists come to visit this memorial to know the history of India and its story of Freedom. Shri Meenakshi Temple– The Meenakshi Temple is one of the greatest attractions of Madurai and is one of the masterpieces of Dravidian architecture that is sculptured and designed on the basis of the human body. There are total 13 towers that also serve as an entrance to this temple. Koodal Azhagar Temple– This is another attraction of Tamil Nadu and tourists come to visit this place for its architectural brilliance. Explore these astounding places in Tamil Nadu and once again recall the memories of History and the lives that were lived then that left us with these enchanting beauties in the city. 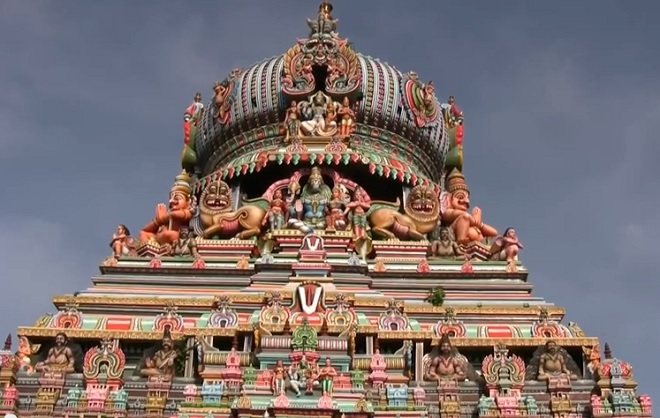 Make your trip to Madurai a memorable one and surely the temples here are a treat to the eyes.